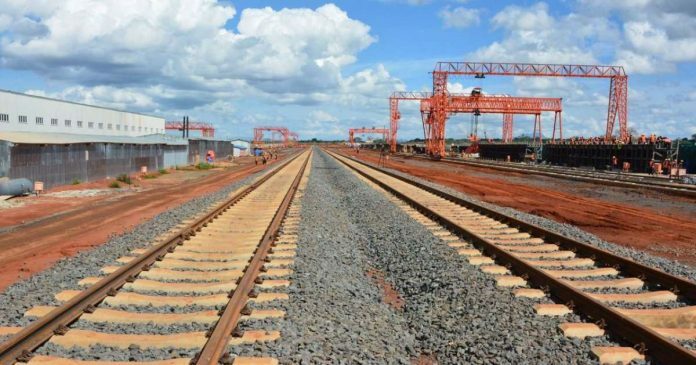 Kenya seeks for China to fund half the cost of the Standard Gauge Railway(SGR) extending to Kisumu with the aim of slowing down on the country’s debt. During a bilateral meeting with China’s Xi Jinping, President Uhuru Kenyatta indicated that the cost of the 270km extension should be split into a loan and a grant to relieve the country.The meeting, the third on Chinese soil, was expected to secure financing deals for infrastructure. “The Naivasha-Kisumu phase of the SGR will cost US $3.8bn. And owing to its regional significance, I would request that 50% of its cost be provided as part of grant financing,” said President Kenyatta. The Standard Gauge Railway, whose first phase from Mombasa to Nairobi was completed last year at a cost of US $3.2bn, is supposed to pass through Kenya, Uganda, Rwanda and the DRC. It is also part of China’s long-term vision to access resources in the interior of Africa. Upon agreement,the whole Mombasa-Nairobi-Kisumu railway line when complete will make Kenya have US $7bn of Chinese debt which is a decrease from the initial US $43bn. “The SGR sits very well on the Belt and Road Initiative. It commences the envisaged land bridge between the Indian and Atlantic Oceans, opening up the interior for trade and investment across seven countries, and opening China who are our largest multilateral lender to Kenya, accounting for about half of Kenya multilateral debt to Central Africa, and further on, beyond the Atlantic Ocean,”said the President. It’s for the good of East Africa and it’s environs. I like the initiative.